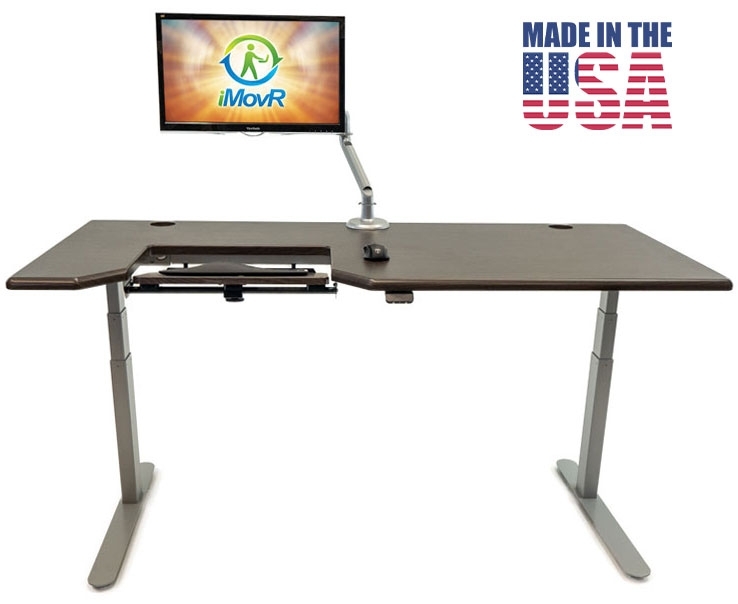 Proudly made entirely in the USA, the Lander Desk with SteadyType boasts distinctive technology advancements and ease-of-use not found on any conventional standing desk – at any price. Assembles in minutes without tools. Sleek hand controller syncs to your smartphone. 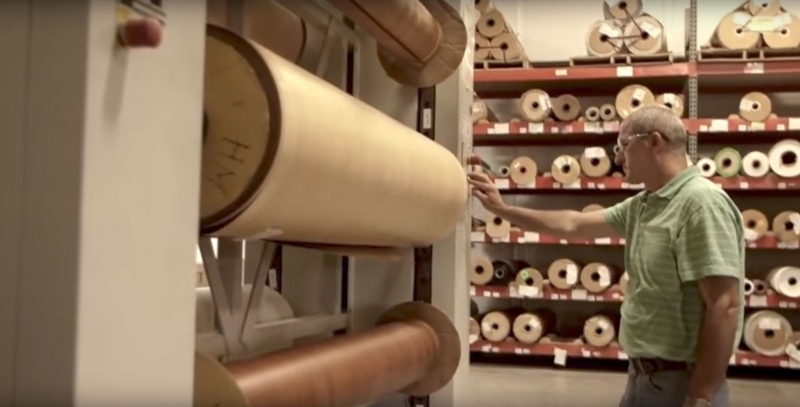 The Lander is proudly engineered and made in the USA. We assemble its parts at our factory in Michigan, WI, and will ship it to you in two weeks or less with FREE shipping. We're so confident in the Lander's quality that we're backing it with an industry-leading warranty: 10 years on all the base components (including the leg motors) and 5 years on the 3d-laminated tabletop. 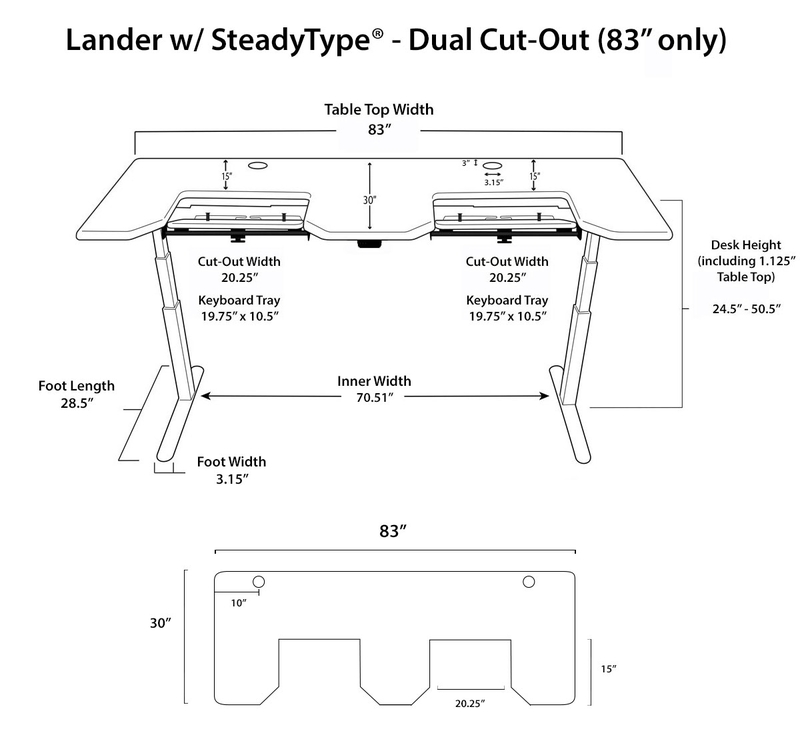 The Lander's hi-resolution LCD control paddle makes it the easiest desk in the world to use. Simply tap twice up or down to send the desk to your next height favorite. Want reminders to stand? Its built-in coach will gently remind you at intervals you can set. 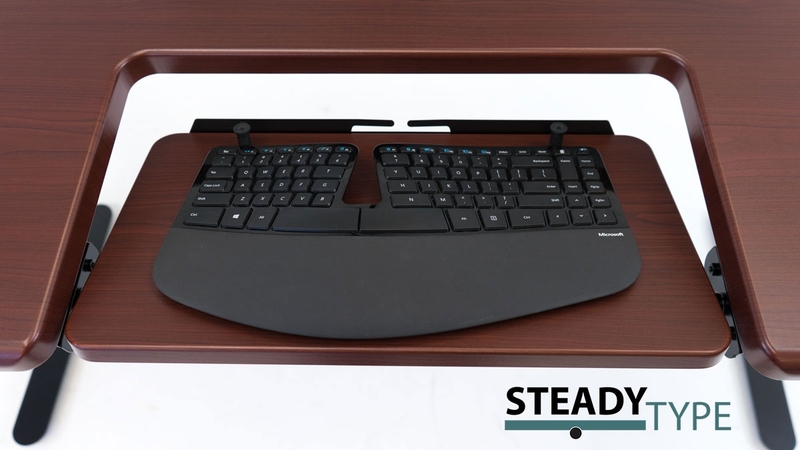 No other desk combines brawn and beauty like the Lander. The powerful lifters can heft up to 360 lbs. while you can barely hear the hushed motors. 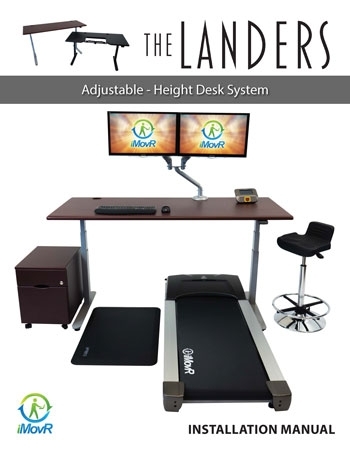 Some electric desks use fast but noisy motors, while some use slow but quieter motors; only the Lander can lift this much weight at a blazing 1.6 inches per second and be this quiet! 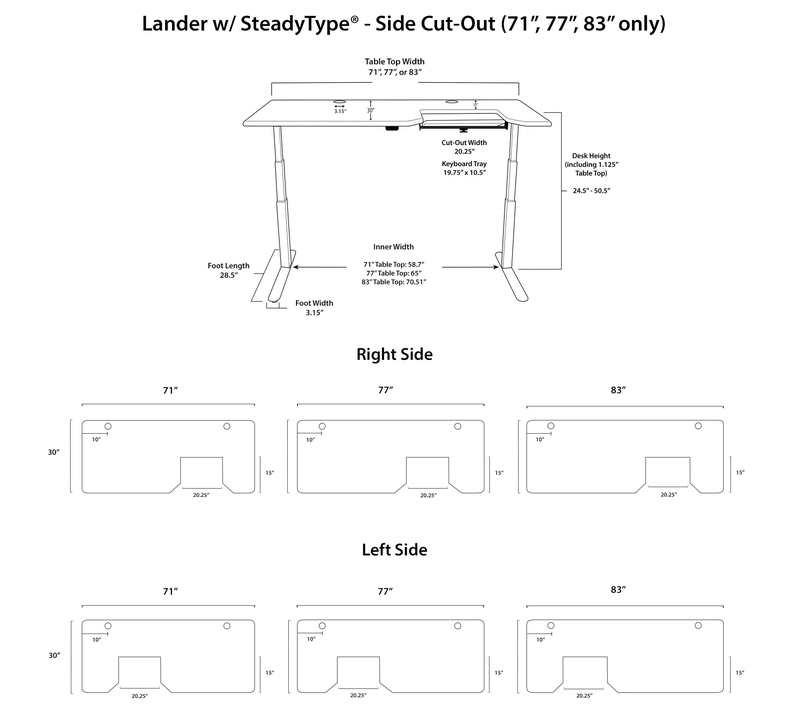 Every other standing desk you can buy entails tackling a DIY assembly project or hiring an installer. And there’s always the risk of an assembly error or one failed component that keeps you from enjoying your new desk. Why risk the hassle? 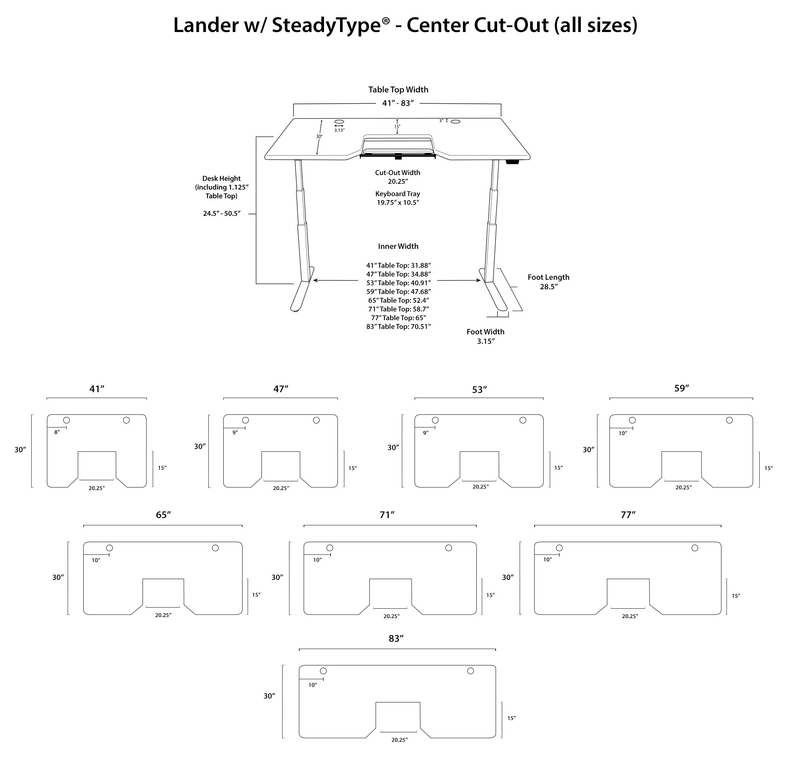 The Lander desk comes factory tested and 98% pre-assembled. Watch this video to see how anyone can put it together in just minutes, with no tools required! Choose from black, white, or silver base finishes today.